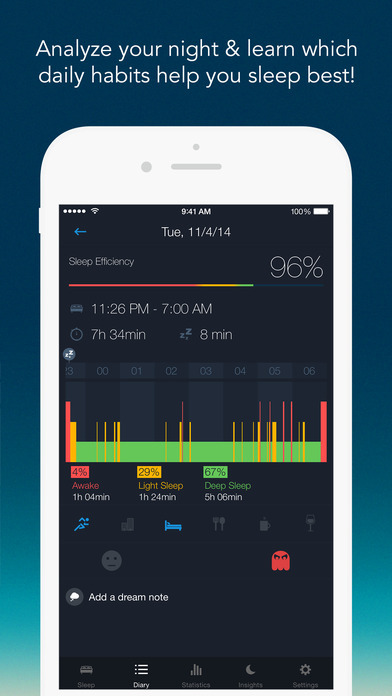 Track your sleep, monitor your dreams, improve your bedtime habits & wake up better. 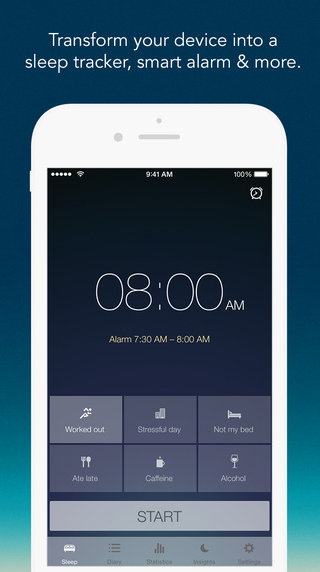 Sleep Better offers you a simple and engaging way to improve your sleep quality, whether you struggle to fall asleep, want to learn how your daytime activities influence your sleep efficiency or simply want some new alarm sounds to help you wake up feeling refreshed. 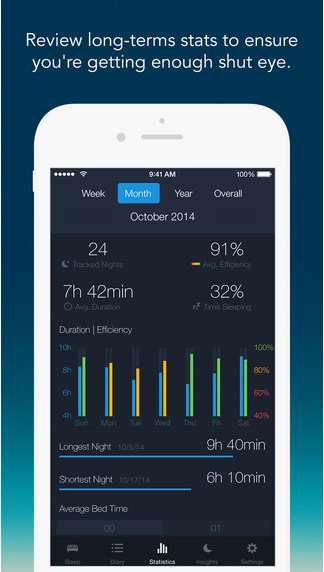 The app may be suitable for young people who are unsure of their sleep patterns or report sleep disturbance. There is something powerful in the visual messages received when your sleep data is presented visually on graphs and in percentage form. The app does not contain clear goals or advice about recommended sleep requirements for young people, but people whose devices are contributing factors to such sleep disturbance, this seems less appropriate. There is a lot of detail, and many facets which describe factors that would affect your sleep. It estimates how much light-deep sleep you have had, but this is only estimated. No actual readings are taken to give an accurate result. Tracking my horrible sleep patterns :) It's great because I can tell that when I haven't had a good night's sleep, my mood correlates to that. Not much, except I end up spending some of my sleep time on my phone and that is not a good habit!